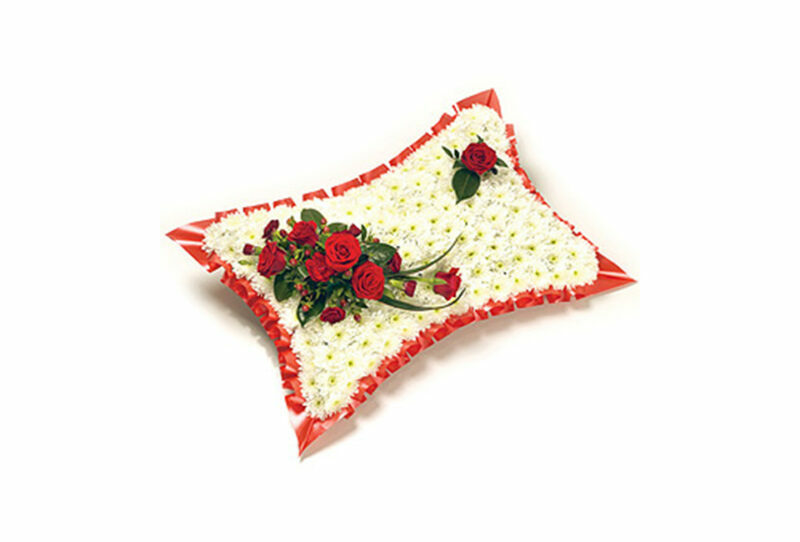 A classic white Chrysanthemum based pillow with ribbon edge. Featuring Roses, Carnations, Hypericum and complementary foliage. Size: Height – 33cm (13″) Length – 51cm (20″).